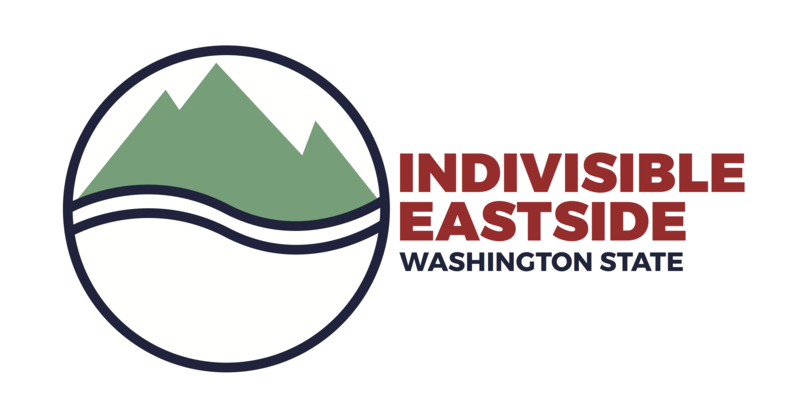 Indivisible Eastside is a local chapter of the Indivisible Movement, inspired by the Indivisible Guide. The Indivisible Guide was written by a group of former Congressional staffers who witnessed the success of the Tea Party and turned their experiences into a practical guide for resisting Donald Trump’s agenda. We are a SHARED RESOURCE on current governmental activities, critical legislative issues, marches, rallies, and group and individual actions and events. We are a GATEWAY to making our voices heard through protest actions and building electoral power. Protest Actions: weekly actions, group events, rallies, protests, card/letter/editor writing, calling and more. Turn the constituent power into electoral power, taking back the Senate and by winning Governors’ races and state legislatures! Expand the Electorate, by working with local groups and partner organizations to engage folks who are currently underrepresented in both voter registration and voter turnout. We are an ACTIVIST COMMUNITY of strength through interaction, collaboration, diversity, sharing, action, justice, discussion, listening and learning. Strengthening representation in our progressive politics to include people from as many backgrounds as possible. Visit our Getting Started page for the low-down about participating in Indivisible Eastside. Follow our Facebook page for news and action alerts. Join our Facebook Group stay informed with our members. Sign up for our Action Emails and participate in our actions and events. Participate in our organizing activities to help us achieve our goals. Got a specific question? Email us at hello@indivisibleeastside.com. We’re just an email away!